District 1 is the most hyped area for travelers visiting Ho Chi Minh City, Vietnam. 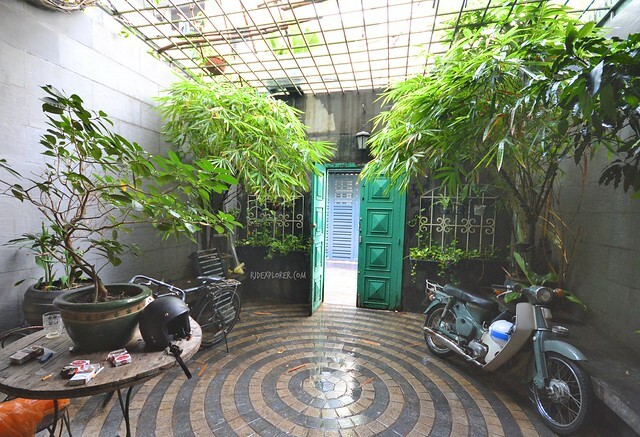 Pham Ngu Lao St, tagged as the backpackers haven of Saigon, is the sole creator of this ballyhoo. Advantages of having affordable accommodations, cheap places to eat and drink, and availability of tour operators. These are the reasons why I chose to move away from that district; the chaos, the craze, the crowd. 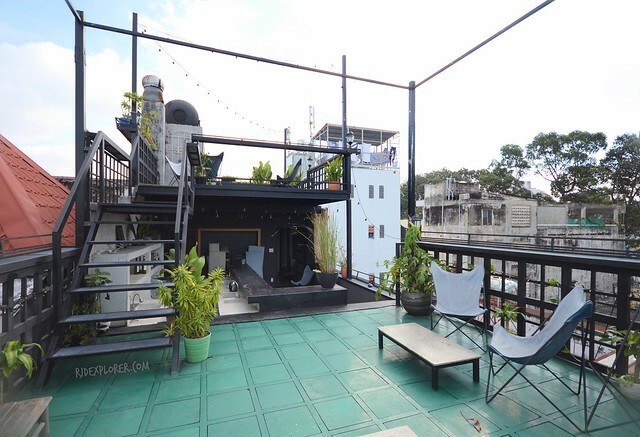 On my search for a tasteful place to stay in Ho Chi Minh City, my readings led me to The Common Room Project. Few friends who’ve already been to Saigon mentioned that having your accommodation within Pham Ngu Lao area is more convenient as city attractions are also within reach. I agree to that but my stay in District 5 was also a great one. I find the local bus commute to the city central a nice way to immerse with the locals. Good thing, fare is only 5000VND per ride. If you’re on a tight budget, a bus from Tan Son Nhat International Airport to 23/9 Park for 20000VND is the best option. From the bus station, I took a cab to the hostel located at 80/8 Nguyen Trai. The moment I saw the hostel’s green door, I already knew that I was on the right neighborhood. Spooky pumpkin decorations from the Halloween was still on the wall at the front-desk. The board also reminds schedules of travelers’ arrival and departure from The Common Room Project. On that day, I saw mine on one cell of the grid. Standard check-in time for guests is at 2PM but if you’ll arrive on an earlier schedule, you can drop your backpacks or stay at the quirky lounges of the luxury hostel. Another option is to join and get to know other travelers, as well as the staff, on the long table. Kitchen is also a great place to hang-out with all the high chairs and cozy couches. Free mineral water is also available just so you know. Wifi is also available from the lobby to every rooms, for free. 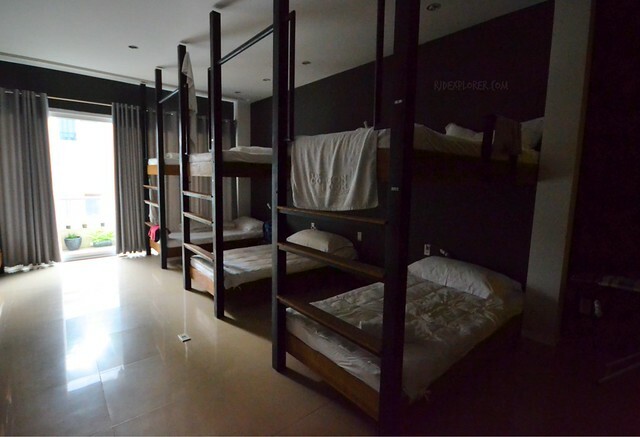 The Common Room Project has private and boutique dorm rooms. I got a bed in one of the dorm rooms that literally give ample space for guests. Bunk-beds are laid out properly that provides generous space for every traveler. Dorm rooms have a counter-sink for groups who planned to cook their meals during their visit. The luxury hostel offers a hassle-free stay with the comfy beds, oversized and fluffy pillows, and duvets. Apart from the bed, convenience includes having a universal plug, reading light, and own locker with lock. Every room is fully air-conditioned and has its own en-suite toilet and bathroom equipped with hot and cold shower, bidet, complimentary toilet amenities such as shampoo, shower gel, and toothbrush. There are also common shower and restrooms on the fourth floor of the building. Hostel’s ground floor is the common area for everyone. It includes the front-desk, a long table for travelers catching up with work, and a kitchen. Breakfast is included for guests who are availing private dorms and for travelers staying in communal rooms, you can chip in for eggs, cereals, breads, coffee, and spreads. Guests are allowed to cook and prepare their own food. During my stay, an American lady used to brew her coffee in the morning. You can always ask assistance from the friendly staff regarding your needs but please be sure to clean the utensils every after use. Another thing that made my stay an impressive one were the paintings and murals found in common areas and staircases. These colorful and expressive illustrations relieve you from a tiresome day walking on Ho Chi Minh’s streets. The owners and staff go the extra mile for guests to enjoy their stay in Vietnam. On Mondays and Thursdays, they usually have a community dinner where guests get to cook and sample authentic Vietnamese food. 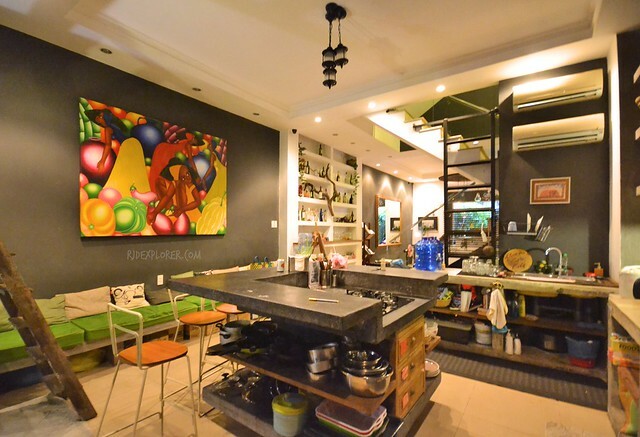 You can join by sharing 250000VND to get the very first-hand experience of Vietnamese cooking. For other moments, the staff coordinates with interested travelers for a night street-food tour. In addition to the lounges on the ground floor is a roof-deck that offers an unobstructed view of the city. My stay in The Common Room Project is not the usual backpacker experience. Yes, the rate is slightly higher than the ones in Pham Ngu Lao but the cool ambience, bedroom amenities, and minor details they offer are not widely available on cheap dorms in the much-talk-about District 1. The entire concept of The Common Room Project will really entice you to extend your stay in Ho Chi Minh City. 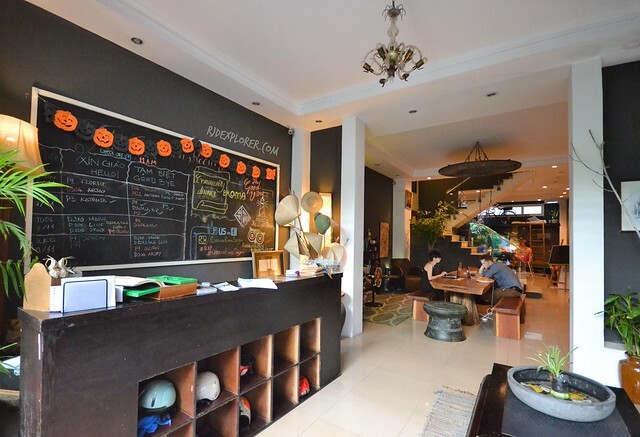 Not for the tourist attractions in the city but for a leisure stay in the hostel meeting travelers and getting to know more about Vietnam from the sociable staff. Definitely a place to avoid the hordes of tourists in the backpacker area of Ho Chi Minh City. Book your stay in Ho Chi Minh City, Vietnam by clicking on the banner below. Disclosure: Thanks to The Common Room Project for accommodating me on my stay in Ho Chi Minh City. All opinions stated on this post are my own.